The first in our Olympia Dream Matchup Series: Dennis James versus Melvin Anthony. WHY WE WANT TO SEE IT: For nine years, these two have been going at it in the same contests, exchanging placings as if they're playing catch with a hot potato, which may occupy their spare time, considering the irony that they are best friends. 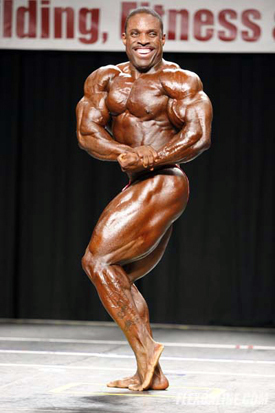 Compare their Mr. Olympia history, and you'll see how equally matched they are. In spite of being the same height, though, their physiques contrast: James is proportioned mass, Anthony is dramatic aesthetics. WHAT WE WILL SEE: Best-case scenario for James is to be compared to Anthony in the second or third callout. Worse case is there is no comparison at all. Whether or not it happens likely will come down to conditioning and how many comparisons the judges call for. 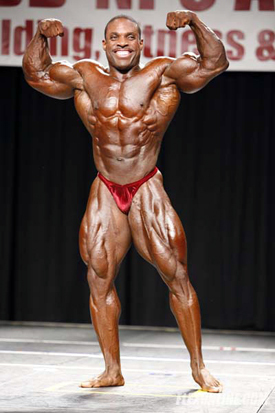 SEE FOR YOURSELF: James' complete, three-dimensional upper body fullness will serve him well in the side shots, and superior chest development will do the same in the most muscular. But James' weaknesses - the back double biceps, quad sweep and a slight imbalance from upper to lower body - are Anthony's strengths. OUR TAKE: Slight edge in conditioning edge goes to James, although Anthony is expected to be on. 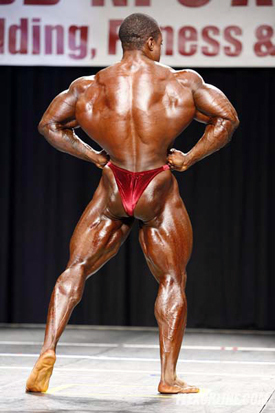 Posing routine, balance, reputation of consecutive top six placings and the most dramatic back-to-waist ratio in pro bodybuilding favor Anthony. 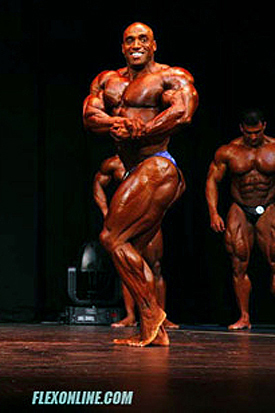 In two summer shows, James - after a year off from competitions - managed to trim his waistline and regain some of the form that saw him place 4th at the 2003 Olympia. But this matchup is Anthony's to lose, and the only way that happens is if he slips up between his win in Atlantic City and the Olympia.